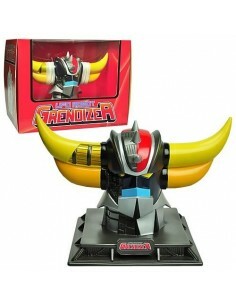 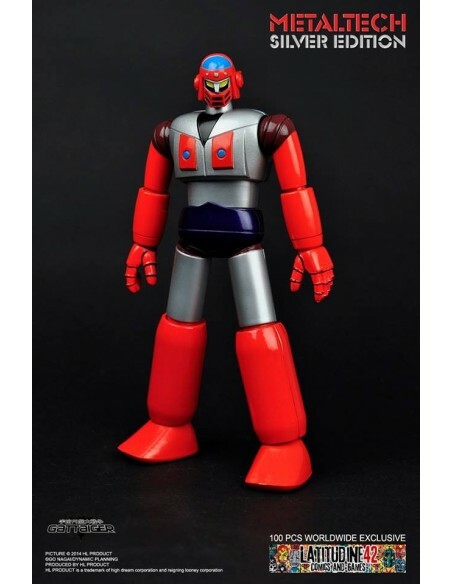 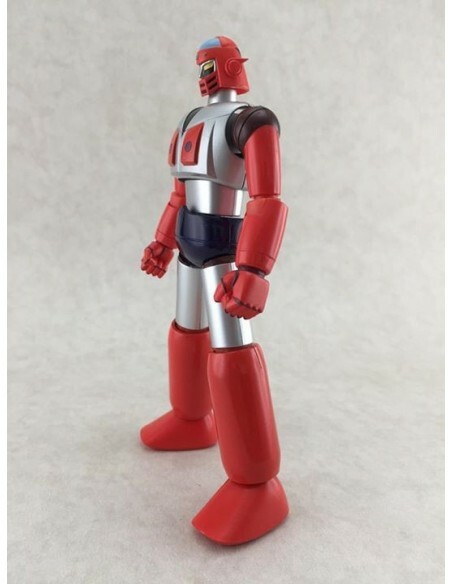 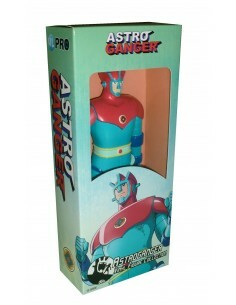 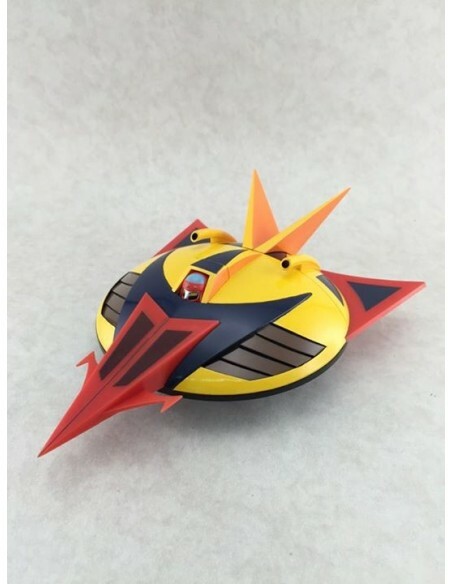 Original anime serving as model for the TV Series UFO ROBOT GRENDIZER, GATTAIGER is having a similar scenario with an extra drama touch. 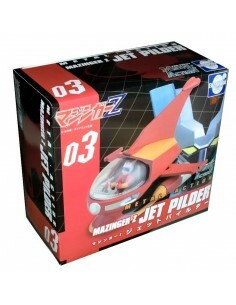 The Main hero ‘Duke Fleed’ escaping his planet under attack by the Yaban force stole GATTAIGER, an experimental giant robot, and fled to Earth. 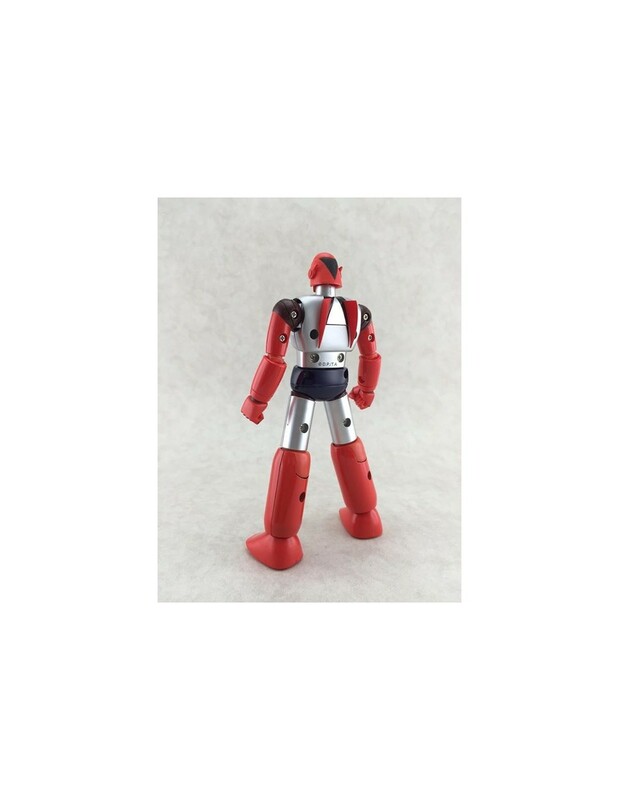 However pursued by Blaki, Duke fleed had to confront the Yaban force on Earth and lose his fiance Tellona in the process. 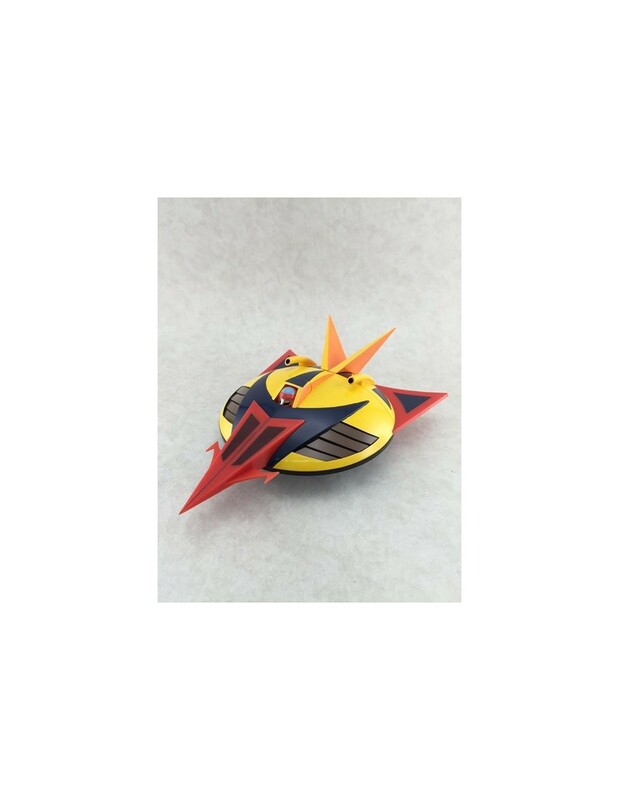 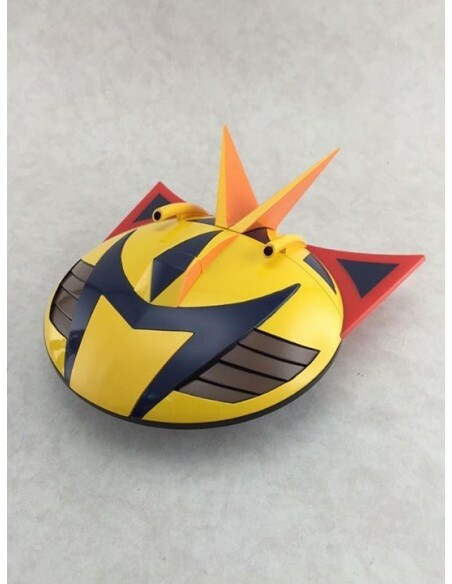 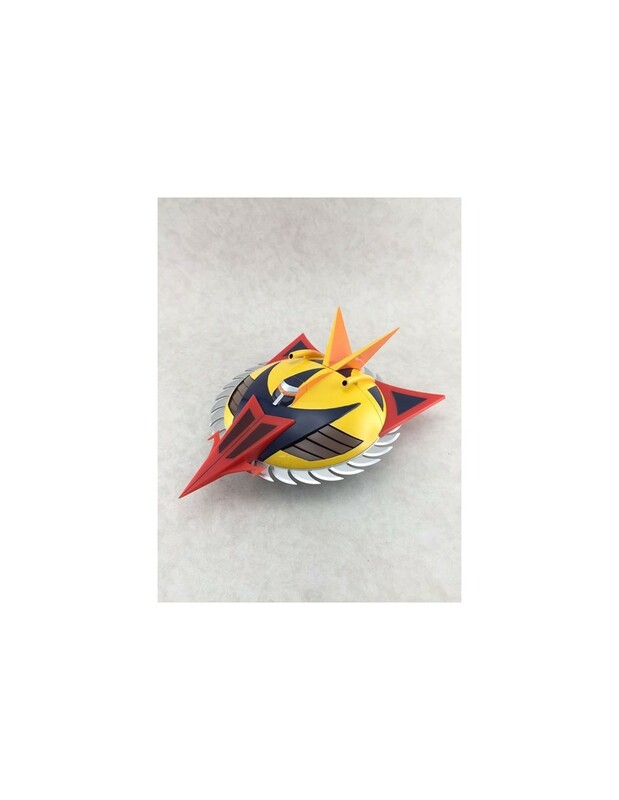 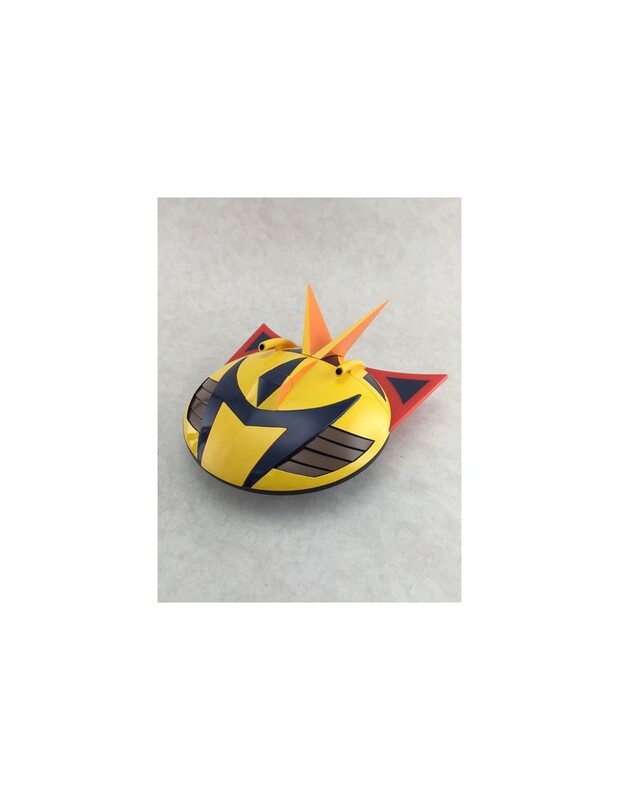 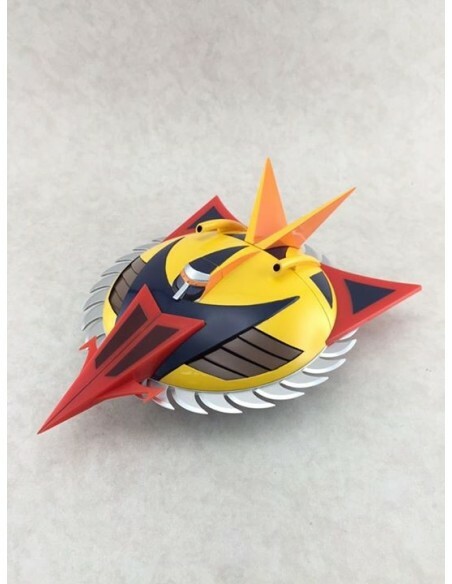 Unlike UFO ROBOT GRENDIZER, the most powerful weapon of Duke Fleed in Uchu Enban Daisensu is not the robot itself ROBOIZER but its spacer called THE FLYING TIGER to which it can dock, a flying saucer with multiple and powerful weapons. 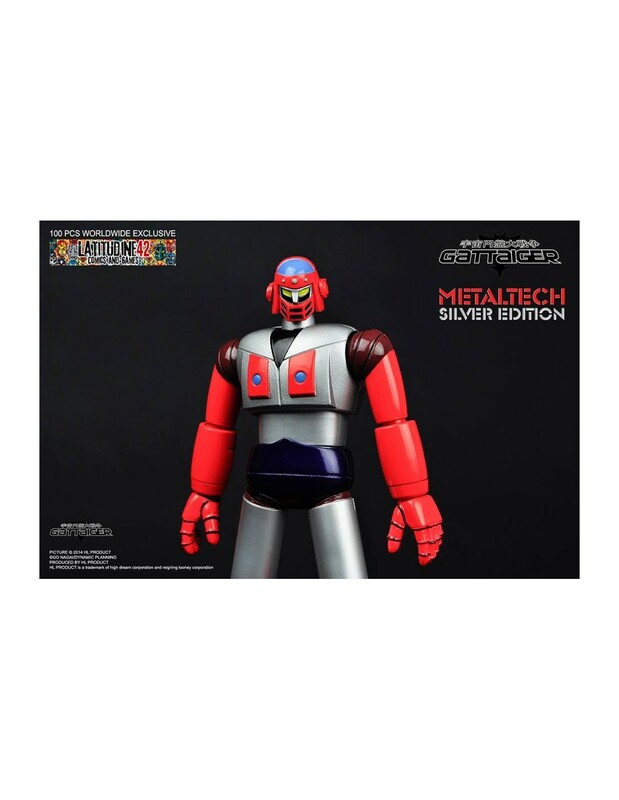 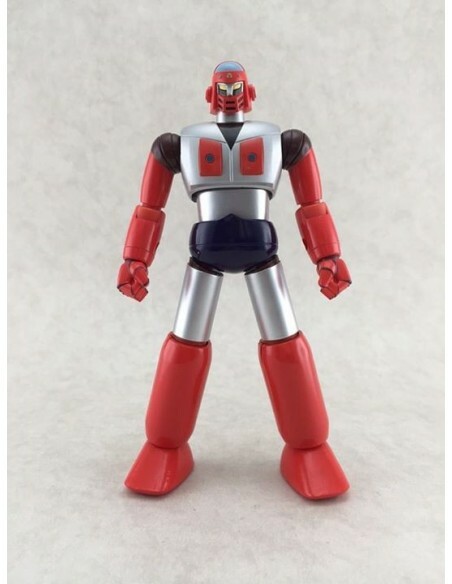 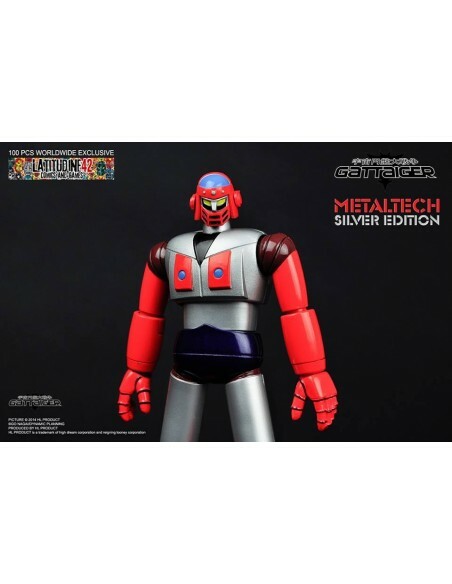 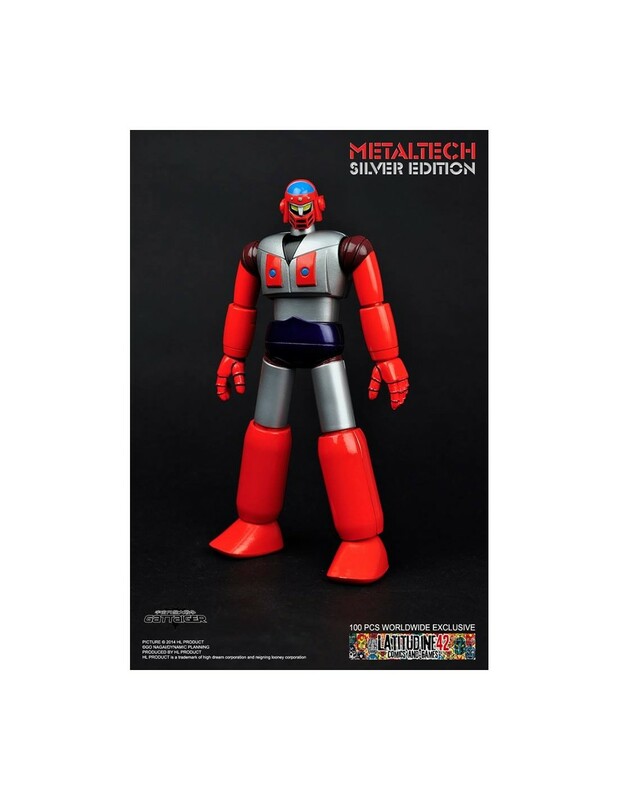 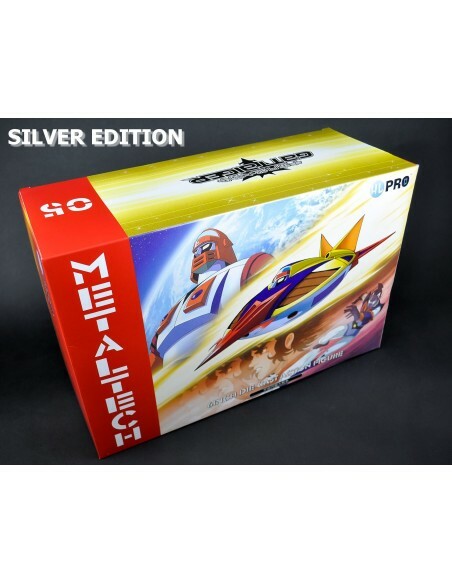 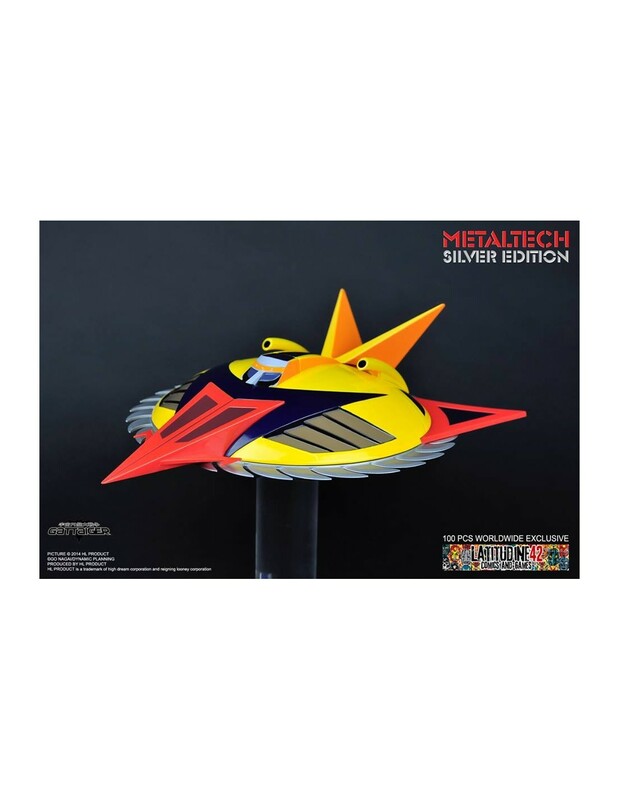 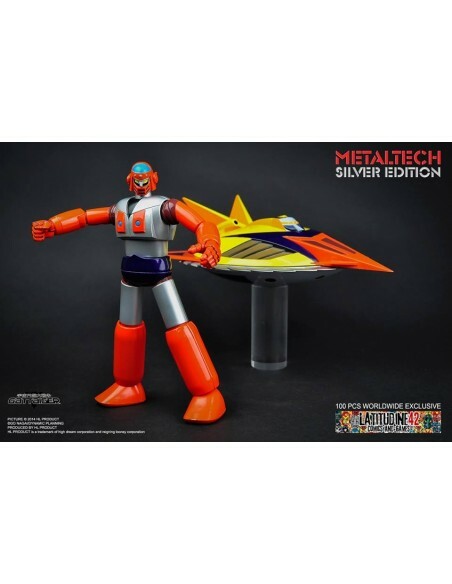 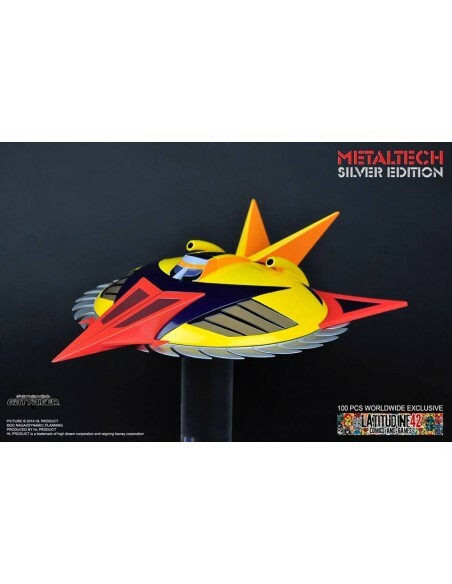 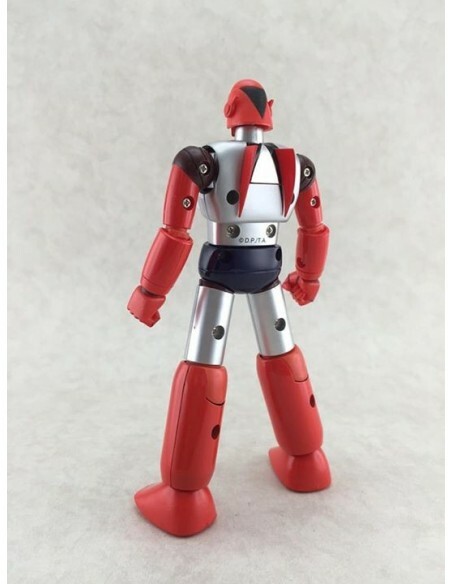 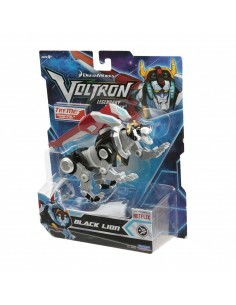 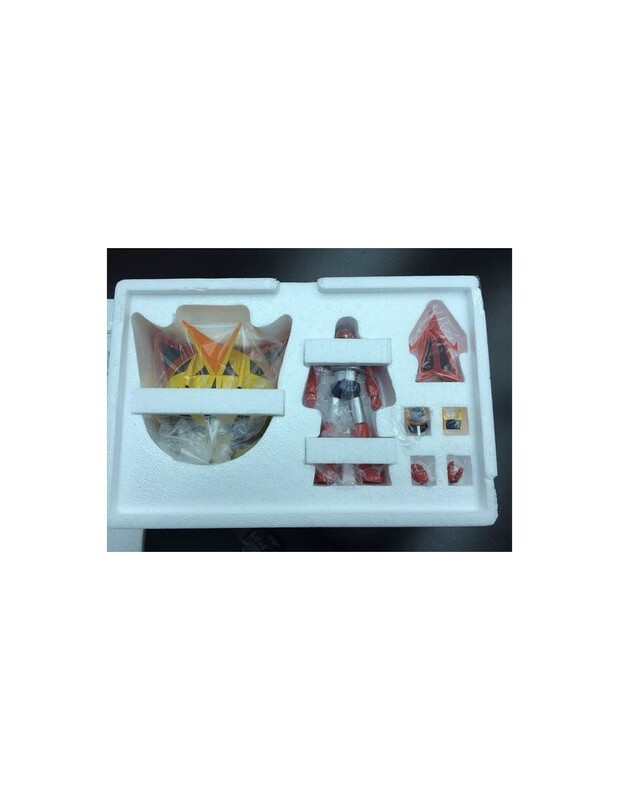 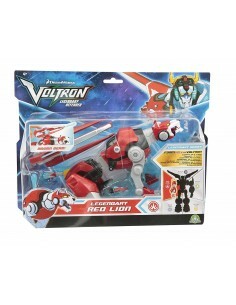 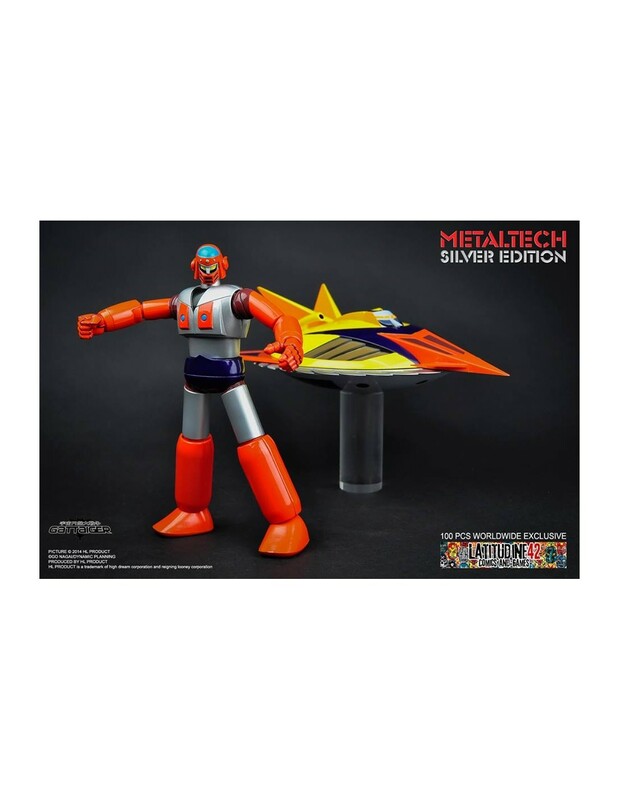 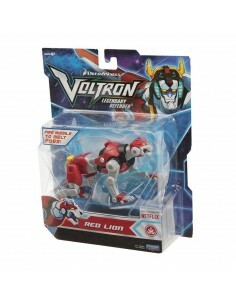 The METALTECH 05 : GATTAIGER is a die cast set including the robot and the spacer with different option to change its outlook. 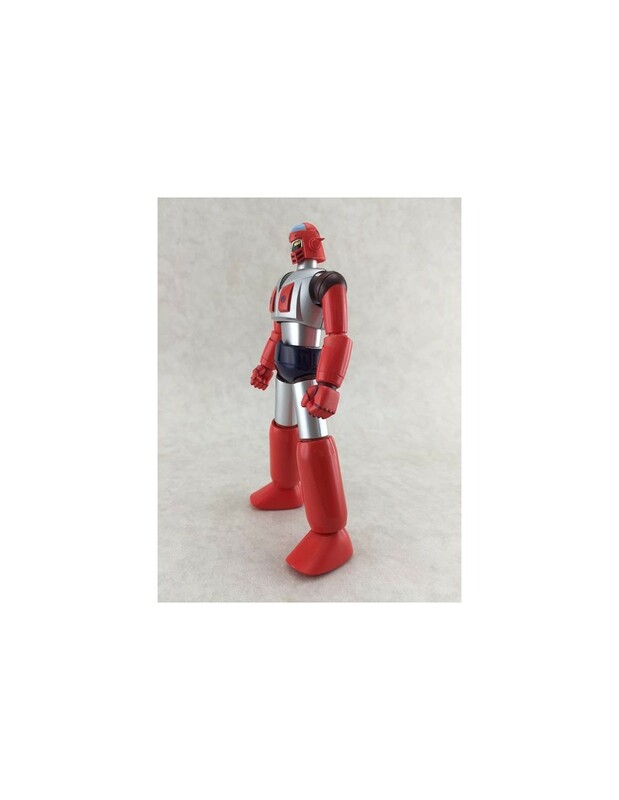 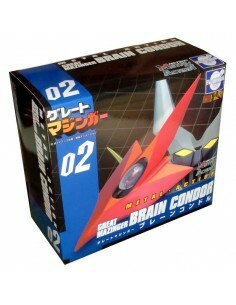 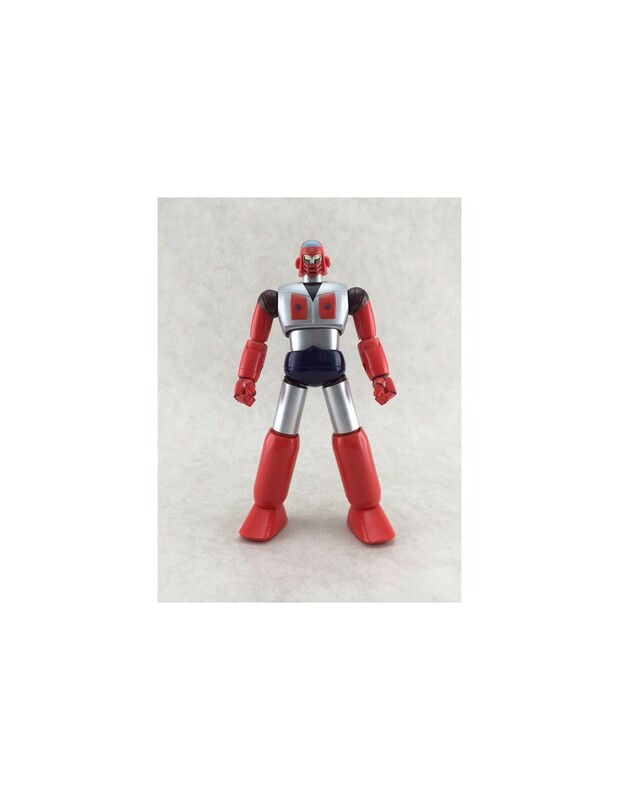 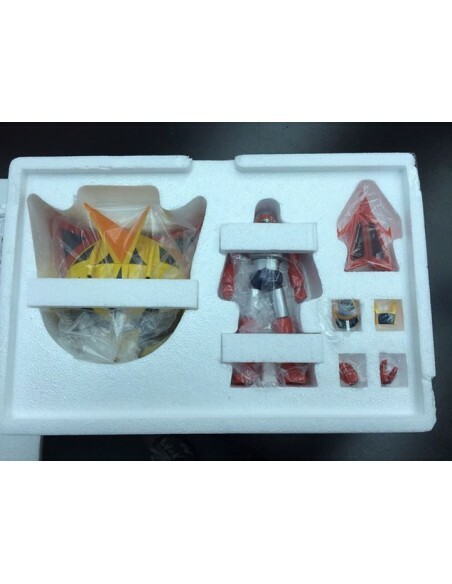 As in the anime Roboizer can be docked or undocked, in a realistic look or as in the anime by using exchangeable parts.